For many years there has been growing concern about the decline of the biodiversity on the islands. Now, an incorporated society provides the opportunity for people to restore the islands by combining energies, talents and cultures. This soceity is called the Guardians of the Bay of Islands. 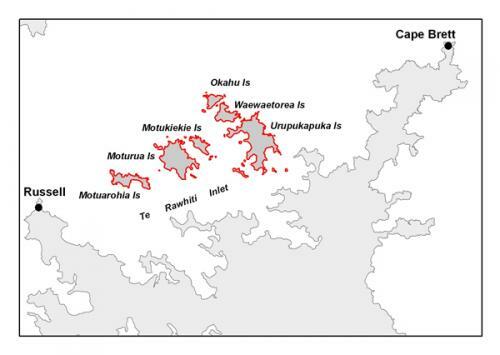 In conjunction with Ngati Kuta, Patukeha and the Department of Conservation (DOC), a shared strategy is being instigated to eradicate rodents from the islands and the surrounding coastline mainland. Pest control is scheduled to start in 2009 within the coastal buffer zone in support of the Guardian’s of the Bay of Islands – Project Island Song. The aim is to reduce the possibility of re-invasion of the islands after the poisoning that is to take place. This is a great opportunity to increase the diversity of fauna within our area.